Some time ago, our team developed a monoclonal antibody specific against ANXA3. We are happy to share that after years of work, we have successfully obtained two US patents for the use of this antibody for HCC detection, prognosis and therapy (US 9,487,831 granted November 2016 and US 10,000,558 granted June 2018). Congrats to the 3 inventors on the patents – Stephanie Ma, Man Tong and Xin-Yuan Guan! What’s it like being a scientist? 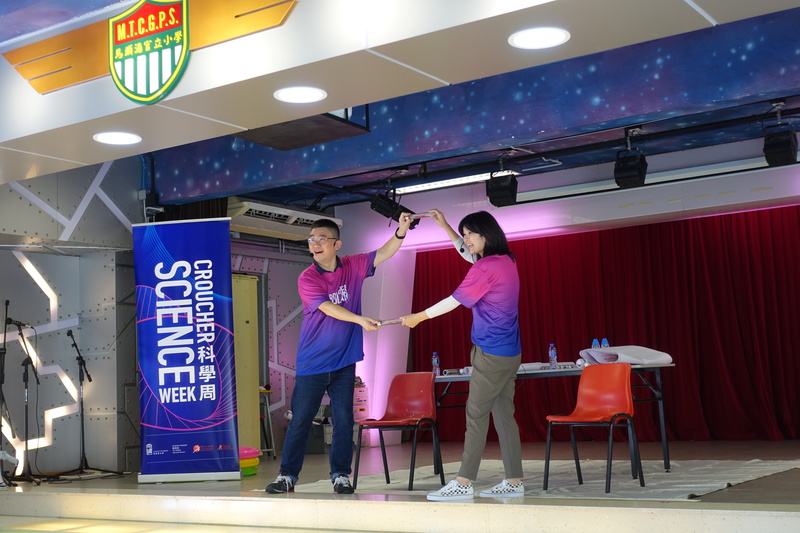 Stephanie is super happy to have had the opportunity to participate in the Croucher Science Week – What’s it like Being a Scientist? School Tours this year. 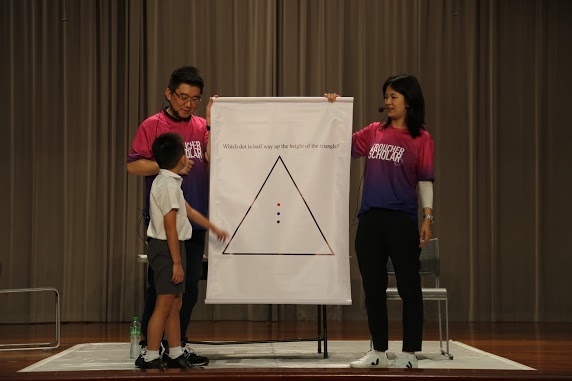 She, along with her partner Krates, performed at the HK Science Museum during HK SciFest 2018 and at a number of local primary schools from March to November, spreading science fun. Science is fascinating. It brings wonder and understanding to the world. But, what is it like to be a scientist? 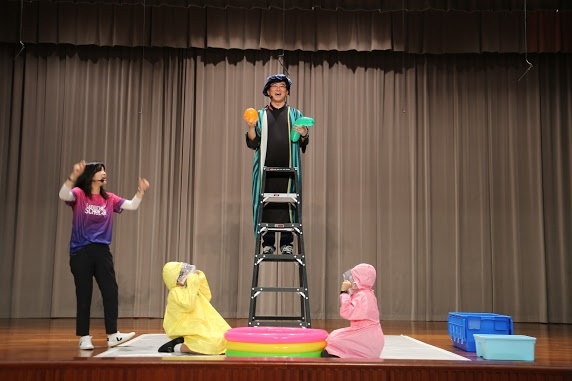 In this entertaining show, you’ll meet scientists who will re-enact one of the greatest scientific experiments of all time – Galileo’s Leaning Tower of Pisa experiment. They will let you in on what it feels like to be a scientist doing cutting-edge research in modern day Hong Kong – and will lead the entire audience in a scientific experiment that everyone can do.